Mistletoe Memories - an ECPA bestseller! Christmas Traditions - featuring Holly Daze - an Amazon bestseller! The Lassoed by Marriage Romance Collection - another ECPA bestseller! Easy-going fireman Carpenter Yeary has no need for a wife, not with all the little ol' ladies in his church determined to find him one. When a strange woman proposes, Carp knows she's only after a free dress. In a moment of mischievousness, he accepts her proposal. Only their private conversation is overheard, and "Carp's getting married" spreads like wildfire, and soon his precious church ladies have a wedding planned. For Carp and Felicie, the only way out is to convince each other to call of the wedding...before love has time to bloom. 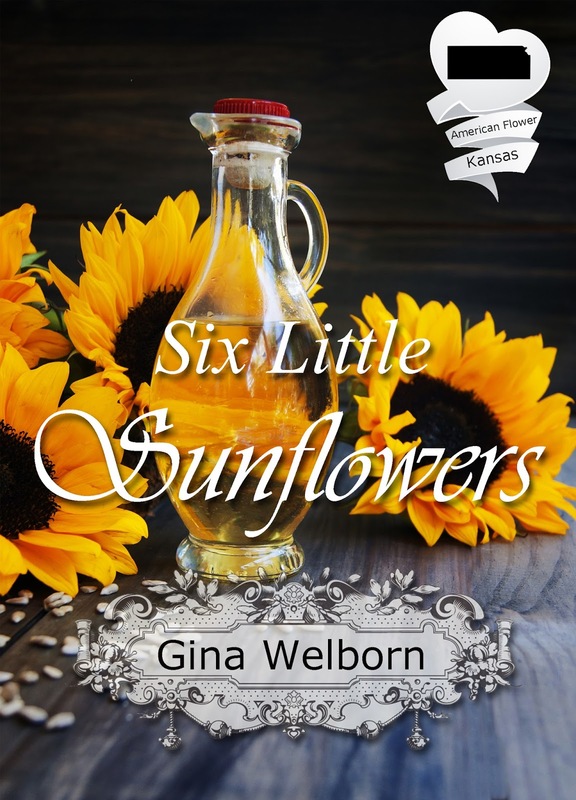 See Six Little Sunflowers come to life (metaphorically speaking) on Gina’s Pinterest board! Disclaimer: The lack of clothing of these "models" is not relevant to SIX LITTLE SUNFLOWERS because both Carp and Felicie keep clothed in each other's presence. This is a clean romance! Of course, I would be remiss not to mention that the Wichita Kansas fire department does have yearly calendars for sale to help you keep track of what day of the week it is. What's a party without food?! 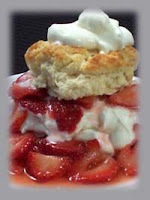 Let's start with some classic Strawberry Shortcake! The History of Strawberry Shortcake. The earliest recipe that we have found for this dessert was in 1847. It is called Strawberry Cake, but its very similar to what we call shortcake. Strawberry Cake Recipe from "The Lady's Receipt-Book" by Miss Leslie, published in 1847. And some Bee Sting Cake, also known as Bienenstich. 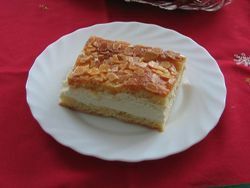 This delicious cake is a Bavarian dessert made of a sweet bread (with or without yeast) with a baked-on topping of honeyed almonds and filled with a vanilla custard. In 1880, Kansas voters approved an amendment to the Kansas Constitution prohibiting all manufacture and sale of "intoxicating liquors" throughout the state effective January 1, 1881, making Kansas the first state in the United States to enact a statewide constitutional prohibition on alcohol, and heralding Kansas's long era of statewide prohibition. As of December 2012, Kansas still had 13 dry counties, where on-premises liquor sales are prohibited, but the sale of 3.2% beer is permitted. As of April 2013, Kansas still has not ratified the 21st Amendment, which ended nationwide prohibition in 1933. Effective November 15, 2005, the Kansas Legislature amended the Liquor Control Act to permit cities and counties to allow Sunday liquor sales. Sales are prohibited on Easter, Thanksgiving, and Christmas. Since June 2012, bars are able to offer happy-hour specials after more than 25 years of being able to reduce prices only if they’d done so for the entire day. Liquor stores are able to offer unlimited free samples of beer, wine and liquor. For anyone interested (and who may have these items laying around the house), feel free to make and bring some moonshine. June 5th is National Moonshine Day! Please drink responsibly. SIX LITTLE SUNFLOWERS is available on Amazon! 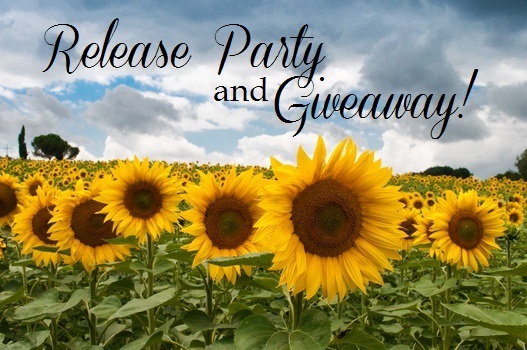 In celebration of Gina's 11th release, she is giving away digital copies of SIX LITTLE SUNFLOWERS to three commenters during the Release Party this week. Let us know in the comment you want to be entered and leave your email address so we know you aren't a troll (such as LovesWildfires (at) gmail dot com. SIX LITTLE SUNFLOWERS is the 9th release in Forget Me Not Romances American State Flower series, sweet romances based around state flowers. Felicie loves sunflowers! What is your favorite flower and why? GINA WELBORN worked for a news radio station until she fell in love with writing romances. She’s the author of eleven inspirational romances, including the ECPA-bestselling Lassoed by Marriage Romance Collection. She serves on the ACFW Foundation Board by helping raise funds for scholarships. Gina is a lifetime member of the National Corvette Museum and a founding member of the Southwest Oklahoma Corvette Club. She lives with her husband, their five Okie-Hokie children, two rabbits, two guinea pigs, and a dog that doesn't realize rabbits and pigs are edible. I love the premise of this story already. Proposing to a man in the hopes that he will refuse so that you can get a dress? How neat! Please enter me in the giveaway. Thanks! Thanks, Loraine! My oldest daughter hasn't read any of my books but said she may read this one because of the premise. Oh, this sounds delightful! Why haven't I heard about this one before? I loved that movie too! I would really like to read "Six Little Sunflowers", sounds like a great read. Thank you, Dianne, for stopping by! This should be a lot of fun! Congratulations on your new release, Gina. My review will be here later this week. Everyone should go check out your pinterest board! The food was as yummy as the clothes!